There are four types of 3D plastic lamination card namely love sign, star sign, sandy surface and clear surface. 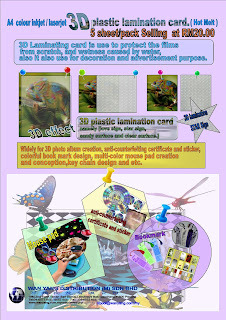 3D Laminating card is use to protect the films from scratch, and wetness caused by water, also it also use for decoration and advertisement purpose. 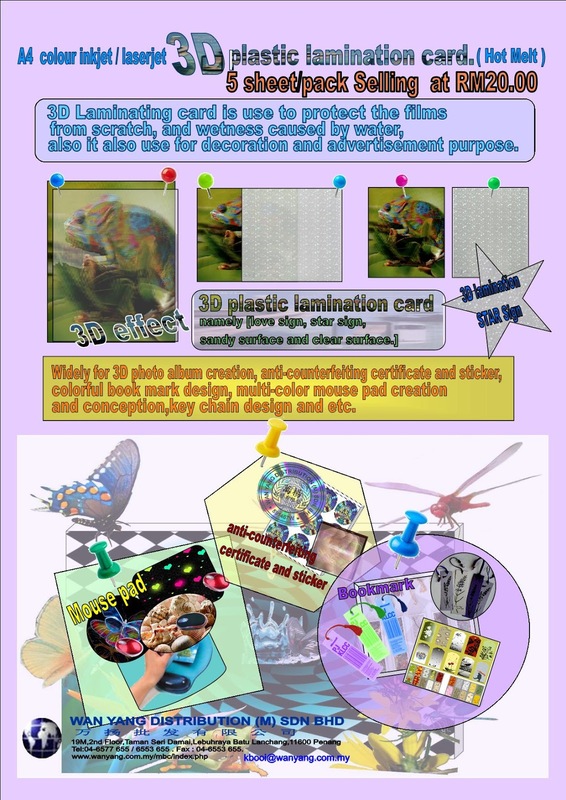 They are widely for 3D photo album creation, anti-counterfeiting certificate and sticker, colorful book mark design, multi-color mouse pad creation and conception, key chain design and etc. create 3D effect with our photo glossy paper, metallic and silver sticker, white PVC sticker, hologram sticker film.